Green tea has been said to be the healthiest beverage on the planet because of its antioxidants and nutrients having a powerful effect on the body. Drinking green tea has also shown to improve brain function, fat loss, and even lower the risk of cancer; there are so many proven benefits of green tea. Loaded with polyphenols like flavonoids and catechins, which function as powerful antioxidants, these substances can reduce the formation of free radicals in the body, protecting cells and molecules from damage. One of the most powerful antioxidants in green tea is Epigallocatechin Gallate which has been studied to treat various diseases. 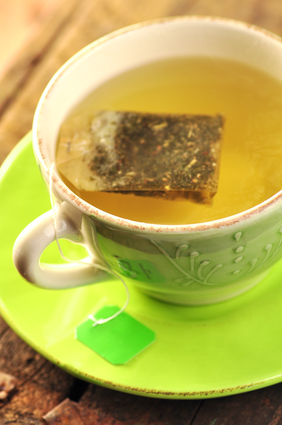 An active ingredient in green tea is caffeine, a known stimulant. Green tea does not contain as much as coffee, but contains enough to produce a response without causing the “jittery” effects that is so often associated with too much coffee. Caffeine studies have shown improvements in many aspects of brain function, including mood, reaction time, memory, and vigilance. Many people reported to having more stable energy and being more productive when they drank green tea as opposed to coffee. With all of these benefits there’s no doubt that green tea is a great choice when reaching for a beverage. Although too much of a good thing may not be so good for you, there are also several unsavory effects of over-consumption of green tea. These effects include consuming tainted supplements marked as green tea extract, high caffeine consumption and aluminum consumption. It is said that green tea extracts should not be consumed by people suffering from renal failure, liver disease, heart conditions or major cardiovascular problems without consulting their doctor. People with sensitivity to caffeine should be careful of the amount they intake. Pregnant and breastfeeding women should not drink more than one or two cups per day because research shows that more than this amount of caffeine may interfere with normal heart rhythms.